Bonus Dad is a Father figure in your life who did not give birth to you but cares and loves you as his own child. This Particular Key Chain has - Heart Shape "Thank You" Charm, Bonus Dad charm, Initials of your choice, and "Best Daddy" charm. 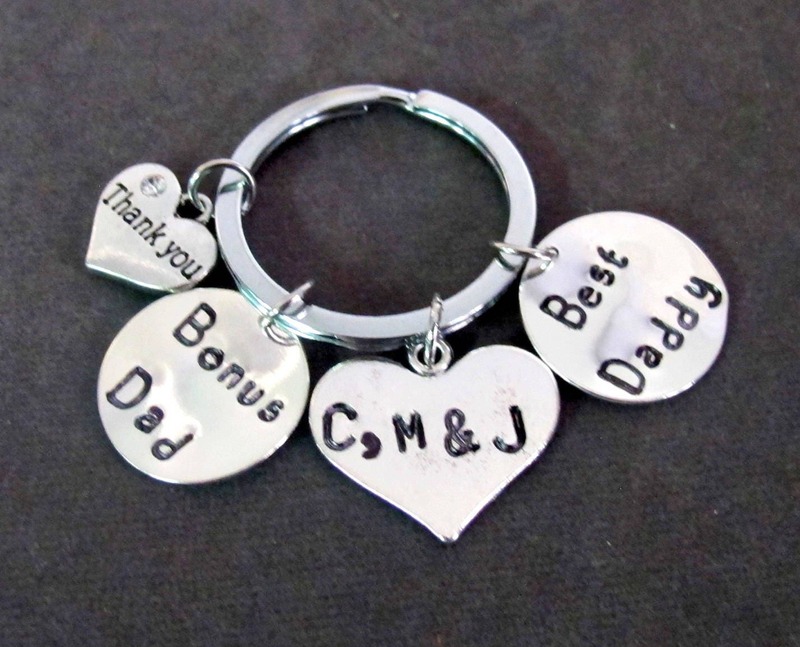 A meaningful gift for Bonus Dad, Step Dad, Godfather, Father in law, or Foster dad. Gift him to acknowledge his efforts and sincerity towards you. Please Mention the INITIALS Before check out of the order. Thank you!